Downtown areas in small communities seem to be making a comeback in some American cities. What was once a thriving, vibrant anchor to the community seemed to have lost it’s appeal in near distant decades in favor of shopping centers, chain restaurants and perhaps, more convenient parking. Downtown Bowling Green, Kentucky was one such casualty, but you wouldn’t know that now. Community leaders began to realize the benefit of a thriving downtown and began to consider ways to revitalize the downtown area. The result is a charming downtown that contains everything that I consider to be essential; charming shops, independent restaurants, incredible architecture and history. Downtown Bowling Green doesn’t disappoint. It’s clean, welcoming and just the type of atmosphere that invites visitors to stop, slow down and relax for a few minutes along one of the benches in the square. While visiting the area, my family easily found a parking spot and made our way to Tea Bayou (906 State Street), a New Orleans inspired eatery that has an artsy feel, decorated with an eclectic mix of artwork by local artists. A fan of New Orleans foods, I was eager for my family to try a Po’Boy or Muffaletta. Instead, my teens chose the Fallout Burger, which literally does fall out of your sandwich bun and topped off our lunch with a delicious Red Velvet dessert square. After lunch, we made our way across the street to explore some of the many shops located downtown. My husband was tired so he hung out on one of the park benches in Fountain Square to rest and people watch while the rest. My daughter and I loved the clothing and accessories at BlueTique (417 Park Row) and if we lived in the area, I know it easily would be one of my teen daughter’s favorite stores. From the volume of shoppers entering the store, it appears to be a hit with many local residents. 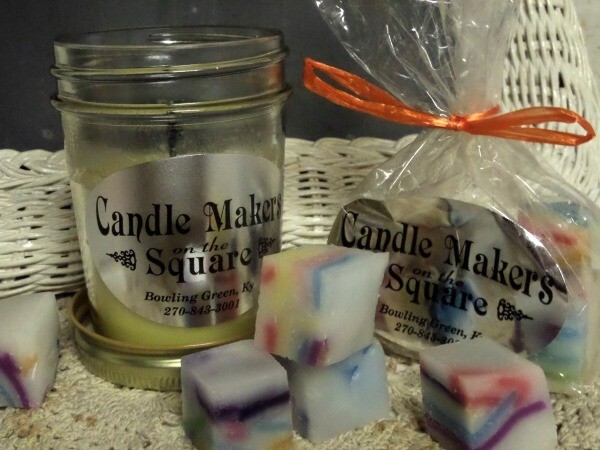 Just a few steps down, we found Candlemaker’s on the Square (415B Park Row), who offer handmade candles in over 70 different scents and a variety of sizes. I couldn’t resist buying a Cake ‘N Coffee candle that represents two of my favorite things and smells every bit as good as the name implies. I also bought a bag of wax chunks for my warmer of their signature scent, a special blend that replicates the incredible smell that permeates the store. 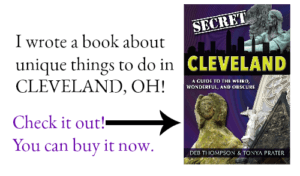 Don’t be fooled by the name, this store offers much more than candles, scarves, totes, jewelry, pottery, if you’re looking for a great gift, this store is a great place to begin your search. My son was surprised to find a working Jukebox located in the store and couldn’t resist playing a song. We could have spent all day browsing the shops like Labold & Sons Salvage, the Pots Place and Barbara Stewart Interiors. If you’re not a fan of shopping, that’s okay. Downtown Bowling Green has more to offer. The Heritage Walk recognizes many of the historic buildings and shares their story. If you want to find out some interesting trivia on Bowling Green, be sure to pick up the “Historic Walking Tour of Fountain Square Park” brochure inside Candle Makers on the Square or the at the Downtown Redevelopment Authority (601 State St.). 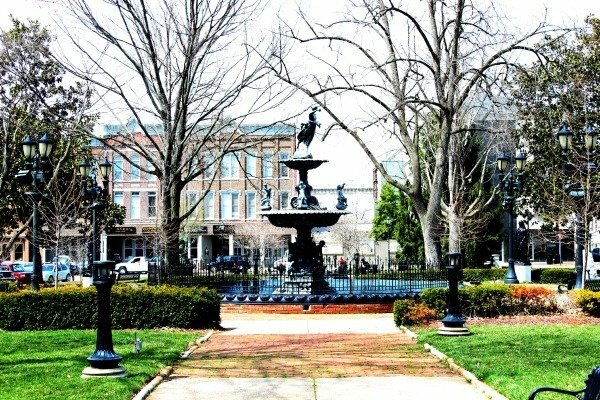 Finally, don’t miss the focal point of the square itself, the fountain in Fountain Square Park. 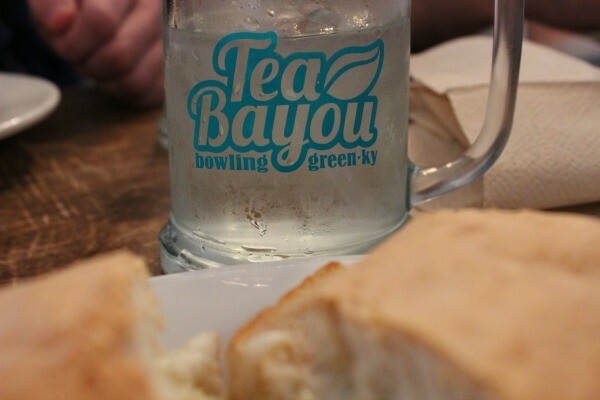 Disclosure: My family were guests of the Bowling Green Convention & Visitor’s Bureau and received our lodging, attractions and meal at Tea Bayou at no charge. No further compensation was received, all opinions are my own. © 2014 – 2015, Tonya Prater. All rights reserved. Love finding downtown areas like this. Bowling Green looks and sounds beautiful, especially that fountain. I could easily live in that candle shop…. Dan just shrugs and smiles now when I come home with “another candle.” lol They’re kind of an addiction. Love this, Tonya. Thanks so much for sharing on Inspire Me Wednesday. Featuring you in this week’s issue. I really think we need to road trip together sometime. I think we are like kindred spirits. 🙂 Too many candles? No such thing! 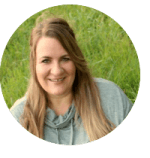 Thanks for featuring me and for the reminder that I need to write my post for this weeks link-up. I’ve never even heard of this place but I love how pretty it is and everything you can do there! I have always wanted to make a candle! 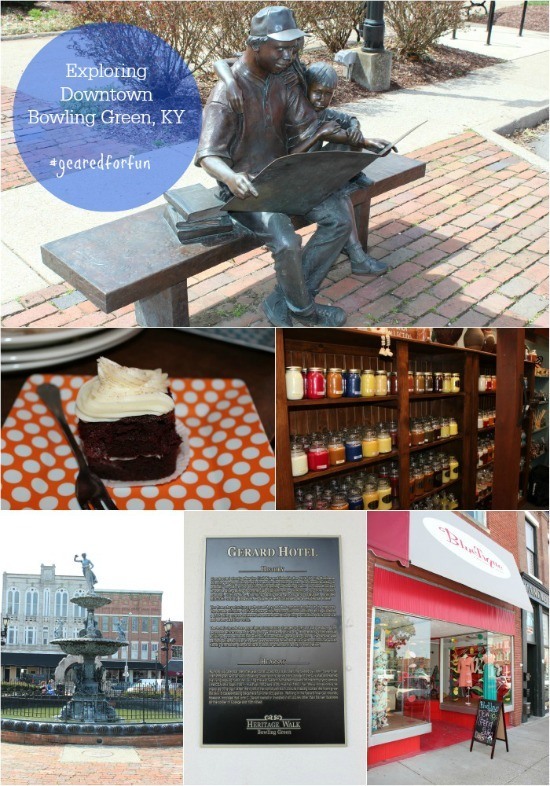 I have never been to Kentucky but I love finding out all the great places to visit from your blog! Bowling Green, KY is near Ft Campbell, right? I seem to remember a brief visit there while visiting Brian when he stationed at Ft. Campbell. Hmmm…I remember seeing a sign for Fort Campbell, but can’t remember if it was on this trip, or a different trip. Sounds like a great place to visit! I would have had way too much fun in the candle store. What a fun little area to shop. I love good areas to walk and push the stroller while shopping. I think shopping should be a slower and more savored experience. This looks like a nice little town. I have never even been to Kentucky. I have never been to Kentucky but it is on my bucket list for travel and I now want to stop in Bowling Green when I make it there. Bowling Green is adorable. I can’t wait to stop and explore further on my next trip through Kentucky! Bowling Green is not far from us! Sounds like you enjoyed your time there. If you haven’t stopped by to check out Bowling Green, I highly recommend it. My family really enjoyed our visit and my husband and I are planning to stop back by on our way to Nashville later this year. What a fun place to visit. I love places with history and character throughout their streets. There’s so much to see that is often overlooked! I admit that small towns really appeal to me. That town looks very charming and quaint. I love visiting places with character like this rich in history. I admit that I’m a history nut. Learning the history of a location that we are visiting really makes me feel connected to the area. Looks like quite a few things to do in downtown Kentucky and looks very charming. Looks BEAUTIFUL! I am LOVING those candles! I’ve never been to Kentucky! Love the little downtown boutiques the best! It sounds like there’s a little something for everyone there. Even if I don’t buy, it’s always fun to window shop in other cities! 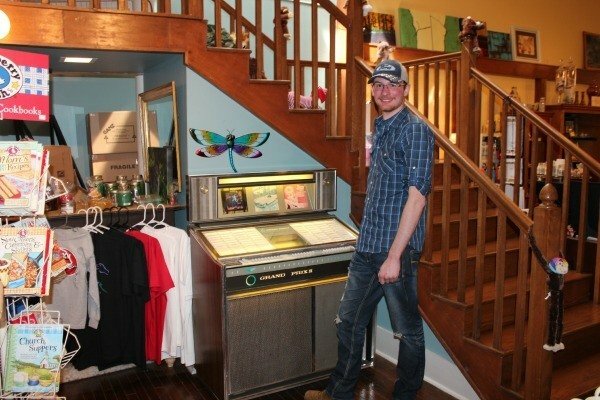 The jukebox is a neat find too!